Weather Tight is a licensed, bonded, and insured home remodeling company that proudly serves nine counties throughout Southeastern Wisconsin. We are Wisconsin’s most recommended remodeler—we’ve cared for over 25,000 satisfied customers since opening our doors in 1986. 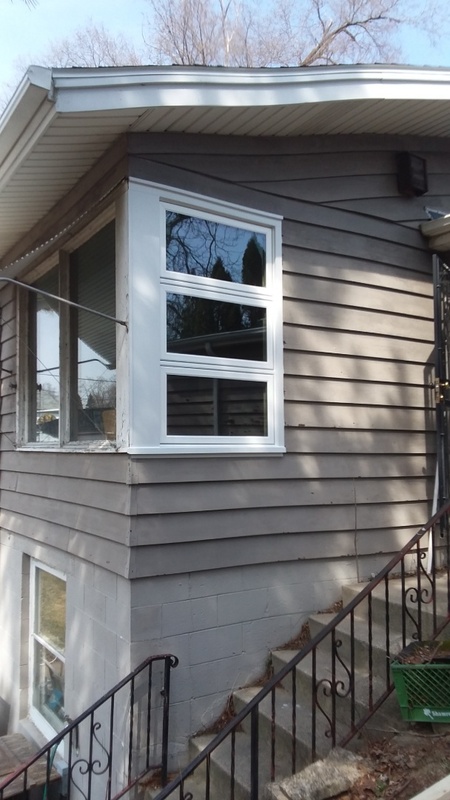 When you decide it’s time to update your Racine home with new windows, doors, or roofing, make sure you give us a call at 414-459-3874 or contact us online to schedule an appointment. And please feel free to stop by and take a tour of our West Allis showroom so we can show you what options are available. We can tailor just about any option to meet your requests. We want your home remodeling project to be everything you want and more—that’s why we offer free in-home, no-obligation consultations and price quotes with top-of-the-line customer service. For additional home tips, watch Tod & Todd’s video tips for advice on everything from gutter safety to why you should re-side your house. Your needs are always taken care of at Weather Tight. Everything from the contract through the installation was handled in a very professional way. The guys on site were very polite and open to in put. Willing to work with you. Very disappointed that the job was not completed because one screen door was bent, another screen door track needs replacing, 2 safety catches on the locks were broken, and spray foam insulation damaged the paint on the kitchen door so that the door had to be hand painted. These problems were all pointed out to me by the installation crew, and now a service department crew needs to come out to fix what should have been new patio doors. 5 out of 6 new patio doors had problems. Very disappointing that new doors need to be serviced. Have you been thinking about re-siding your home, but aren’t sure how to go about doing it affordably? Weather Tight is the answer. Our siding options are expansive so we can find the perfect option to meet your remodeling and budgetary needs. Our options include a wide array of colors of vinyl siding, engineered wood siding, and shakes and scallops so every aspect of your project looks good and is installed professionally. While we’re at it, why not have the perfect front door installed to pair with your new siding? Our doors range from entry to patio, and everything in-between, including a fire door for your garage. Not only can a new front or back door add beauty to your home, but it can also increase your family’s safety and security. And with a professional installation, you can rest easy knowing every aspect of your install is done with care. If your roof is outdated and on the verge of leaking, give our team a call so we can assess the situation and have new roofing installed before any damage can ensue. Our professionals can recommend metal and asphalt shingle roofing options and offer you a quote to find out what is the most cost effective when it comes to your Racine home. We may also recommend new gutters and gutter protection to better protect your home against clogs and flooding. Our patented aluminum gutter protection system allows debris to simply blow off the roof saving you from spending thousands of dollars in repair due to home damage. If you have to clean your roof one or more times a year, that’s too many and it’s truly not safe for you to be doing. Let our professionals take care of your roofing and gutter needs right down to the soffit and fascia—you’ll be glad you did. At Weather Tight, we are committed to supplying our customers with only the highest quality, energy-efficient windows on the market. We offer bow and bay, full-frame, double hung, garden, sliding, and casement windows to improve the look and efficiency of your home. High-quality windows paired with weather-tight installation means you’re safe from the cold or hot weather outside. We’ll take care of any warranties for you so you don’t have to deal with the paperwork or take a chance on forgetting and missing out on coverage. We are proud to say all of our product installations are guaranteed against defects or your money back. Our A+ BBB rating is an indication of our reliability—stop by our showroom to view available window options and let’s start talking about your remodeling project. Our team of professionals is available whenever you need us. Racine is located on the shores of Lake Michigan between Milwaukee and Chicago. Did you know that malted milk balls were first created here? It’s also known as America’s Kringle Capital which is Wisconsin’s official state pastry. While you’re visiting the area, make sure you check out the Wind Point Lighthouse to take some great family photos and enjoy the sights of Lake Michigan. You should also take time to see the Johnson Wax Headquarters which was designed by Frank Lloyd Wright. It’s considered to be a marvel of design innovation and is a great place to bring the family for a tour. If you’re looking for somewhere to eat, we recommend the Wells Brothers Italian Restaurant, Javier’s Cuisine, or Kewpee Sandwich Shop. Each restaurant is a local favorite with highly-rated, delicious food. There’s always a good time to be had in Racine.